Tatman is off today, but to help you forget your pain, I wanted to share with you another installment of Super Skull Saturday. Today’s installment comes from artist Robin Romain, of Raw Bone Studio, in Santa Ana, CA. In her bio she tells us that she enjoys “childlike forms, unusual color combinations and seeing the humor in life” as well as primitive art. Robin, of course, also mentioned how much she enjoys skulls. This is such an amazing body of work. I am truly glad I got the opportunity to feature you today. I admire your multi-discipline work in that you are both a metal artist as well as a fabric one. It is as if you know the two extremes and everything in between. 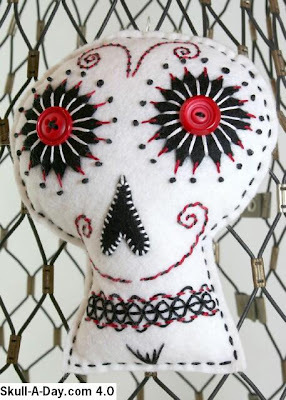 I am a sucker for felt skulls, so those are my favorite, but I also truly am enamored by the sardine can skull. 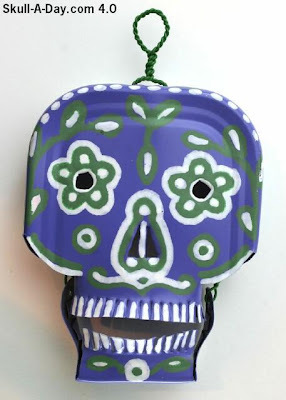 What a great upcycling of these containers. Thank you for allowing us to share your work with our readers. I'm glad you did a Super Saturday for this artist. 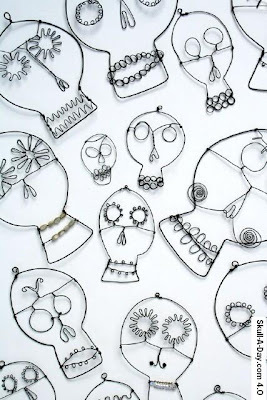 Her work is really great. I think I actually have one of her little felt skulls. My best friend bought it for me. 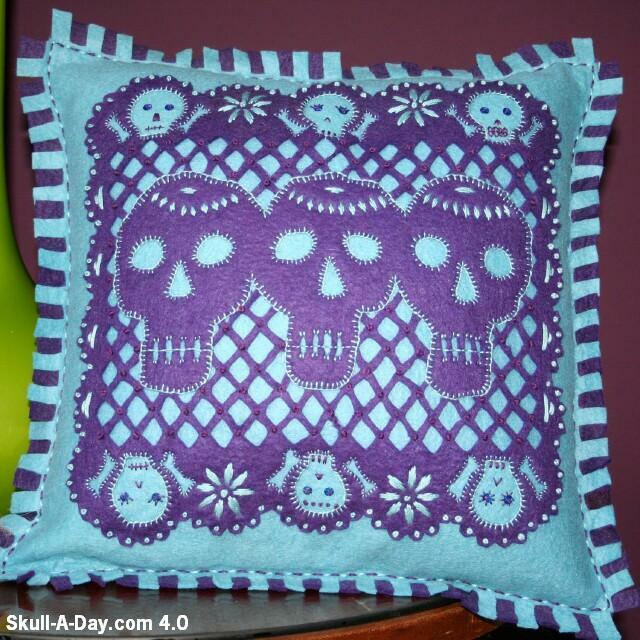 I love the pillows and the little felt skulls! My daughter is learning to crotchet so that she can make little day of the dead people. ;-) Can't wait till she gets it down! Eeep! 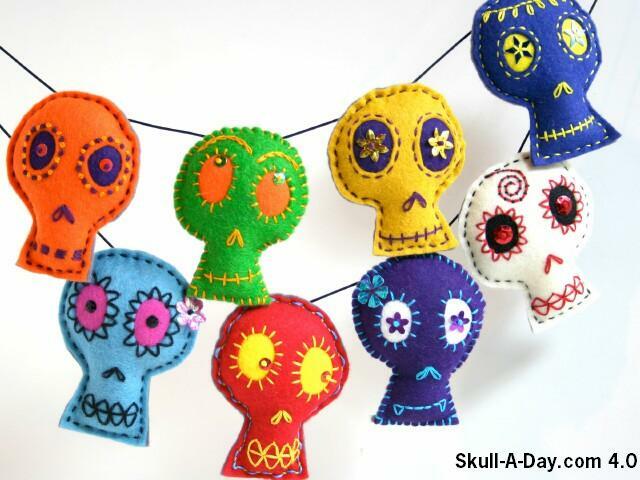 I'm so excited to be featured so lovingly by you skull-luvin' peeps! Thanks a bunch Decorative C and all who commented. I do love skulls and will continue to get my quality and quantity skull fix from this, my favorite blog!! [BONUS] Skull-A-Day in Use: Hoodie! Contest Reminder: Eggs & Bacon Tee!